Does your garden need a makeover? If you need a Dorset landscaping service, look no further than Bamboo Landscapes. 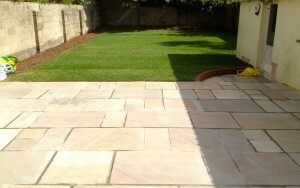 We offer a wide range of hard and soft landscaping services to meet your every requirement. Read on to find out how our professional landscapers can transform your garden in Dorset. What Dorset landscaping services do we offer? Treat yourself to a new garden by enlisting the best company for landscaping Dorset has seen today. At Bamboo Landscapes, we supply a large selection of materials and designs for both hard and soft landscaping. Our garden transformations will afford you with a sunny little escape to provide the perfect retreat from the stresses of life. Whatever services you choose, we take care of all aspects from initial garden design right through to completion. Not only do our hard landscaping designs look great, but they are durable and are made to last during harsh weather conditions and general use. Give your garden a personal touch with a unique flower bed design and lush vegetation. Our Dorset landscaping experts have a keen eye for detail, and will work with any ideas you have in mind to make your garden vision a reality. By using the most premium natural materials, we can supply you with a garden that is simply bursting with colour and vivid detail. As the foremost experts of landscaping Dorset has to offer, we know just how to accentuate the best features of your outdoor space. From lawns and water gardens to pergolas and fencing, there is no limit to what we have to offer you. Should you choose to update your soft landscaping at a later date, our landscapers will be happy to help. The garden is an extension of your home; a place for you to relax, and entertain guests. No matter what your garden is used for, our landscaping Dorset team will create an area that is attractive, practical, and ready to show off to family and friends. With many different flowers, shrubbery, and paving designs, the possibilities for your new garden are endless. Just ask our team for suggestions, and we will pitch ideas that you’d never thought of before. Our landscapers know the best ways to enhance even the smallest of gardens, and how to make your space appear brighter by using smart landscaping techniques. We tailor our landscaping services in Dorset to suit your preferences – whether you want something eclectic and colourful, or something simple and easy to maintain, we can help. When you choose Bamboo Landscapes, we will guarantee a polite and efficient landscaping service every time. Many Dorset customers come back to us in the future, as they know our team will always go the extra mile to exceed their expectations. To see some of the landscaping our team have done for gardens across Dorset, take a look through our gallery. 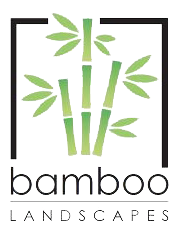 For all of your Dorset landscaping needs, get in touch with Bamboo Landscapes on 01202 805 882, or send an email to bamboolandscapes@hotmail.co.uk.